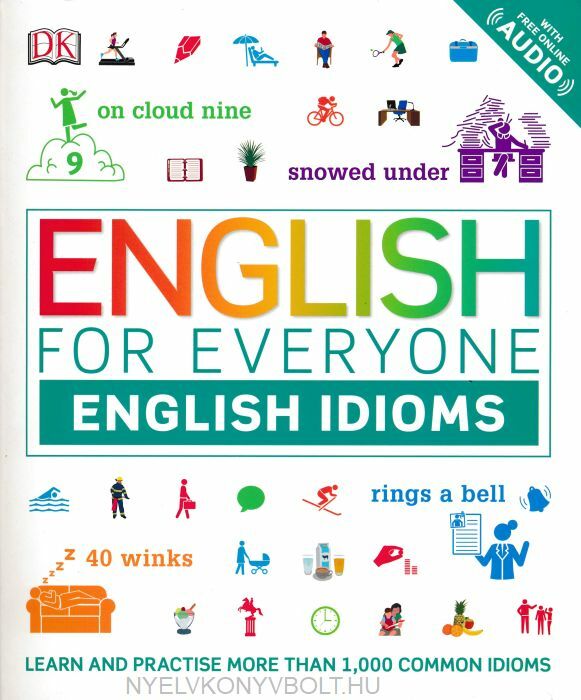 Ideal for anyone who wants to learn English to native-speaker standard, this fun and engaging visual guide to the most common and useful English idioms and phrases will help you understand and remember English idiomatic expressions and their meanings. 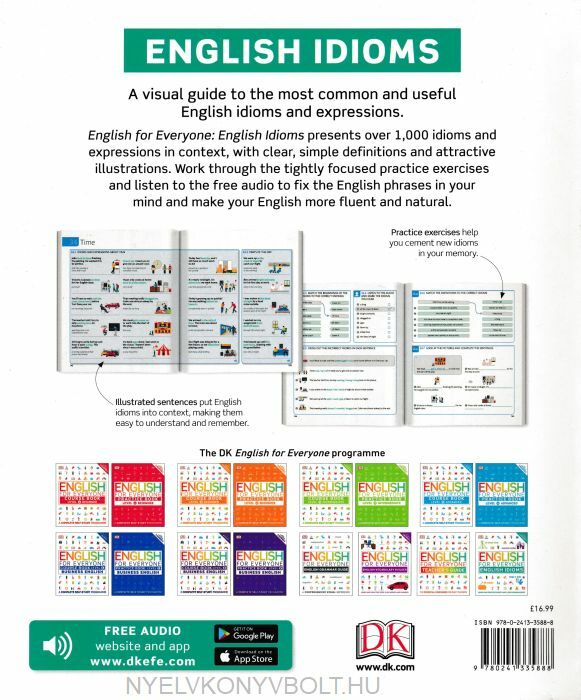 English for Everyone: English Idioms combines an innovative visual teaching method with the best of DK design to make one of the most difficult aspects of learning English as a foreign language incredibly easy. Hundreds of expressions are presented in context, with crystal-clear definitions and attractive illustrations. The book also covers English collocations and commonly confused words, helping you avoid the kind of mistakes that native English speakers would never make. Each teaching module is followed by tightly focused practice exercises to help you remember what you have learned. Extensive supporting audio is integrated throughout the course, with every expression in the context of its sample sentence recorded by native English speakers. Theaudio is free, available online, and can be played, paused, and repeated as often as you like, to help you perfect your pronunciation of each expression. Suitable for learners at all levels.